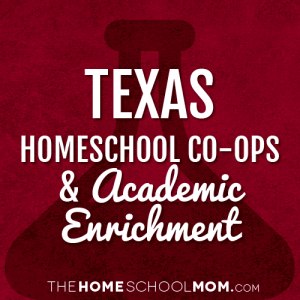 Our listing of Texas co-ops and academic classes for homeschoolers is ordered alphabetically by city, with co-ops in the first section and all other academic resources below. If you would like to submit a Texas co-op or academic resource, you may do so using the red button above. Classes meet weekly during the school year for activities such as linguistic training, discussion, debate, laboratory work, public speaking, music ensemble training, physical education, and more. Part-time Christian homeschool located in Grapevine, TX teaching core curriculum along with music and art. A certified, University-model school in Haslet/Far N. Fort Worth. This program offers core classes twice a week and Friday enrichment classes. They also offer online Christian classes. Royse City Christian Co-opRoyse City, Rockwall, Caddo Mills, Fate, Greenville, Rowlett, Heath, Quinlan, Terrell. In addition to its regular programs, FEAST has plans to offer co-op classes for specials needs children. The SHINE Co-op Ministry has offered mainly enrichment focused classes for Kinder through 12 grade. Preschool support has been offered for participating families with older students. SHARE provides a cooperative teaching and learning experience for homeschooling families in the Sherman area. Created 2 Educate designs educational and fundraising products based on bible content. 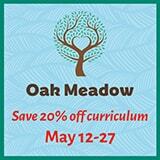 Creative, inspired, and individualized language arts curriculum for homeschoolers. ARC is first a Christian family club, parent sponsored and student run, second, a home school speech and debate club. Astronomy classes for ages 8 and up. Night time classes uder the stars and day time classes too. Taught by inspired and knowledgeable educators. DFW Spanish instruction offering fun, dynamic Spanish classes for homeschool groups and families, taught by experienced, native Spanish speaking teachers. The Prometheus Academy is the Dallas-Fort Worth metroplex's premier site for hands-on science exploration by middle-school and high-school students. We offer free seminars about planning for college (without going broke!) and workshops designed to help students select their ideal school and prepare their applications. Coding classes for homeschoolers throughout DFW. Blend of homeschool and traditional full time.. Academic Excellence with Fun in Mind! Homeschool science classes. Provides speech, language and occupational therapy for children - toddlers through highschool. Participate in many insurance networks and also accept private payment. Available annually from February through April. Sci-Tech Discovery Center is offering science-themed exploratory workshops for home schoolers, helping parents supplement their science curricula. Project Based Classes in Game Design, Animation, 3D Modeling, Computer Science and Robotics.Group lessons and private lessons available. A private part time school for home educators. Providing affordable, fun-filled educational and enrichment classes, field trips, and fellowship events. Trinity Homeschool Enrichment is a non-profit, volunteer run, bible based organization. The Bridge School is an online private school. It offers many dynamic electives as well as AP, Honors and regular courses approved by NCAA. Take a look at the website for more information. PACES – Parent and Child Educational ServicesHouston/Spring/Kingwood. The Scholars ConnectionHumble, Atascosita, Kingwood, Huffman area. The Monty Ballard YMCA at Cinco Ranch offers a variety of Home School programs for preschool through 12th grade. 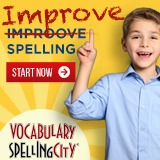 A YMCA facility membership is required to participate in the Home School Programs. A part-time, private school in the Keller, Tx area partnering with parents in the education of their children. Elite training in social, business and dining etiquette protocols for children, youth, businesses and adults. College Prep Genius will be back to offer "MASTER THE SAT CLASS" in Kingwood,TX. This TWO-DAY course will give students tools needed to conquer the SAT and PSAT/NMSQT. Enroll in homeschool classes online. Our K-12 homeschool located in Lewisville, TX offers students general courses plus exciting electives. Quality math tutoring for students grades 1-9 and students with intellectual disabilities. Mathisme Tutoring is open Monday - Friday 10am- 8pm. A 6-week group or individual Empowerment program that teaches communication, self esteem, team building, and confidence. Also work to adjust attitudes that will help youth live a more positive life. Homeschool classes and testing services. For the first time, Cunae is exploring offering a select few homeschooled high school aged children the opportunity to undertake International Baccalaureate Certificates in 1 or more subject areas.